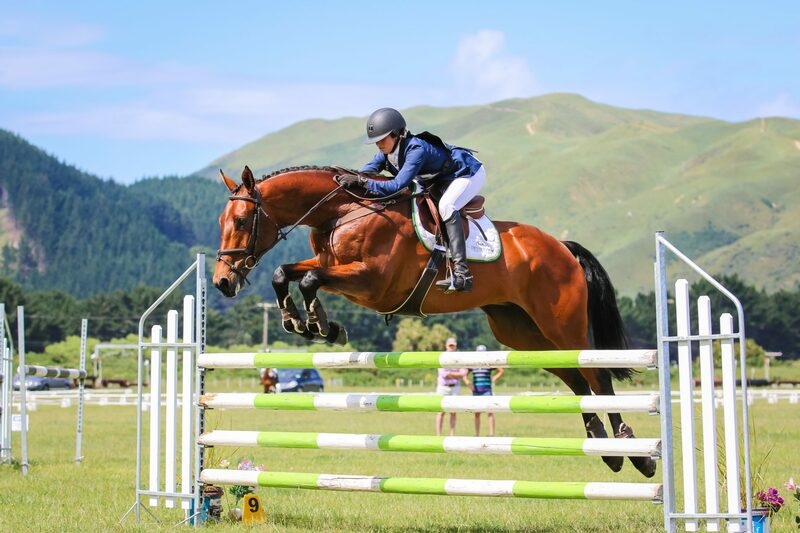 It’s full steam ahead with a fantastic opportunity in front of young Kapiti Coast rider Tayla Mason – Tayla’s off to the UK for two years, where she’ll be working for none other than Jonelle and Tim Price at Mere Farm. Tayla, who has a particularly consistent record across all levels of competition in both Eventing to 3* and Showjumping to 1.40m, says when she was approached by Jonelle about six weeks ago asking if she’d consider being the Team Price rider – she just couldn’t say no! When she takes up the job, Tayla will be followed along soon after by her lovely big gelding Centennial who has completed three 2* events this season and is most definitely showing the sort of ability to set him up for his ventures abroad. Also on the plane will be Westlink, impeccably bred by Drum of the West and out of the high achieving mare Cufflink. While still young, Tayla believes Westlink has the physique and mental attitude required for 4*. When Tayla leaves 8th January – her horses are to follow in February – it will also mean a change in plans for her promising academic career. She’ll put her Masters degree in Management on hold (she currently has six months to go to completion) and review whether to carry on remotely or when she returns. Already recognised as a high achiever when awarded a Prime Minister’s Sports Scholarship, while in the Talent Development programme, Tayla made the most of an earlier opportunity for work experience with the Prices two years ago. During that time, she very much enjoyed learning from the hardworking duo, and now feels very honoured to be asked to return professionally. Straight after her busy weekend at QEP just completed, Tayla was packing the truck again to head off showjumping at the Young Horse Show in Hastings, where she has one ride in the 4yo and two in the 5yo division. She is also preparing to defend her title as rider of the show, demonstrating just why Team Price has made a top pick with this talented and versatile young rider.